Interesting to know: as T Tauri stars lie a little higher in the HR diagram then main sequence stars you might refer this young stage as somehow the true first red giant branch of the Sun. I assume it could had a diameter of roughly 25-50 times that of today and a luminosity of perhaps 50-100. As the Sun's outer layers come closer to it's hot core, so will it get warmer and appear orangish. Hydrogen fusion starts to run out and will be pushed outwards in a fusion shell around a degenerate helium core at the center heating up while it's outer layers are expanding by moving further away from the core and that's why it's cooling off. Now the Sun has found her way to a stable period once more known as the ''red clump''. That's because metal-rich stars like the Sun will likewise turn orangish during the helium fusion. While metal-poor stars (subdwarfs) of the same spectral type usually settle on the ''horizontal branch'' and become therefore more or less yellow giants. The Sun will continue to fuse helium into carbon-oxygen for roughly 100.000.000 years. ''Scorched vulcan with absolutely not even a single tiny microbial lifeform'' XD! As the Sun tries her best to reach the neccessary temperature for carbon-oxygen fusion into heavier elemtents and struggles between gravity and heat. The Sun will release a series of pulsations and mass-loss ejections. Since the Sun will not be able to become stable again she will lose 40% of her mass causing it's outer to come closer to it's hot radiant core becoming ''bluer''. Since the Sun does not become a yellow giant during helium fusion. In this region of the HR diagram the Sun will truly become a yellow giant. Now the Sun has lost a sufficient amount of mass to clearly see gas and dust around the Sun. Now this is typically not mentioned in most stellar evolution theories. However as the Sun is in it's post-AGB stage. It clearly crosses the HR diagram entirely becoming bluer. Ofcourse even though the Sun will become an O-type giant star for a very short time it will be far from the classical O-type stars that are 10's of thousands of times brighter then the Sun to ofcourse millions of times. However since the Sun does not really decrease or increase in luminosity during this period it will still be a round a couple of 100's of solar luminosities. And ofcourse surrounded by a protoplanetary nebula with a bright star at the center. Probably between 10 and 20 times the solar diameter. Now the Sun has ejected all of her mass into outa space. However since the Sun at this point will be a very young and hot white dwarf wich can still have luminosites between 0.01 and 0.1 (pretty bright for a white dwarf). On the other hand the PN will vanish in probably less then 10.000 years. Finally after billions (probably 10 to 12) of years the Sun will meet her final destiny. Having blown all of her mass that she could miss (leaving 0.6Msun left) into a very dense object roughly the same size as Earth but likewise a lil''larger. Okay after a long time not paying attention to this thread I've decided to create the stellar evolution of more massive stars. I particulary like SN 1987A's (wich was an unusual type II-P supernova) progenitor's evolution. The star originally knows as Sanduleak -69° 202 (Large Magellanic Cloud, LMC) approximately 168.000 lightyears away. As these kind of massive stars avoid becoming T Tauri stars perhaps due to their rediculous rapid crossing in the HR diagram from M-type PMS to main-sequence and their intense luminosities and core temperatures and equilibrium and most importantly its mass! As the core significantly gets hotter and yet its outer layers come closer to it's hotter core it will become more or less yellowish-orange/orange. But it's luminosity didn't drastically decrease. Now during this phase the massive star has nearly settled on the main-sequence and it about to fully ignite hydrogen fusion into helium. Interesting to notice would be: It took the Sun like 100.000.000 years from a protostar to G-type main-sequence star, little step by little step. However this star would probably took only 100.000 years to do so. Now the star made it. And it made it easily like a single eye wink (in cosmic terms). Anyway the star would be at around 20-25 solar masses and would fully exhaust all of its available fuel out in approximately 10-12 million years, compared to the Sun's roughly 10-12 billion years! The star however probably had a zero-age luminosity of perhaps as much as roughly 100-200.000 times that of the Sun. As the star enters a stage of hydrogen exhaustion it prepares itself in the core... But not yet fully exhausted. Would still be fusing hydrogen. Yet again slightly larger and brighter. After a peaceful but powerful 10-12.000.000 years the star's inner hydrogen-fusion core starts to exhaust and just like the Sun pushes it more or less outwards into a hydrogen-fusion shell surrounding a degenerate helium core. Now the star will undergo a series of drastic and perhaps dramatic changes to reach it's peak. The star is now refered to as a post-main-sequence star. Now the star is heating up deep inside its core hot core. Despite the temperature increase and the drastic increase of the outer layers from the core at this point it deosn't really incredibly change from color and temperature that much. 50 times solar diameter. As the star's outer layers keeping (in cosmic terms) rapidly expanding it will continue to cool off on its surface. Although it won't decrease in its basic luminosity, the star will start to undergo a series of pretty intense pulsations already. Probably a luminosity of roughly ~100.000 and a diameter of 75-150 (37-75 radii). Now the star has nearly reached its peak to become more reddish. Also, the star might have already ignited helium or still needs (in cosmic terms) a very little time to do so. I assume a diameter of approximately 300-600 during this stage. Well pretty much the same as above, however it's centainly fusing its helium into carbon-oxygen. For example the Sun needs roughly 1 to 1.25 billion years to expand from zero-age subgiant all the way to the top of the RGB. A star of 20-25 solar masses might in this stage be classified as a supergiant or hypergiant or perhaps even both. I guess a diameter of roughly 600-1200. The star now enters its stellar maximum. As these kind of massive stars already exhaust (not deplete) their helium in less then 150.000 years they will undergo a period of unstable pulsation causing the star to ''strip'' off alot of their mass. But before they do that they tend to reach their true maximum as much as 1200-1800 solar diameters. and also increased their luminosity to perhaps as much as 500.000 times the Sun (bolometrically speaken, visually alot lower like roughly 150.000). Ofcourse it's not a problem for these stars to ignite their helium but they do undergo a much more violent thermal instability the Sun-like stars. The star will most likely still fuse helium but with a heavy mass-loss rate. And due to this the star's outer layers are once more coming closer to it's ludicrous hot convective core. So the star is basically getting bluer once more. This should not be confused as a stage of HB stars. Because it's always a surprise to astronomers as what kind of spectral & luminosity class the star actually become supernovae. Anyway 20-25 solar mass stars typically go this way. Again the star has shrinked to roughly 1200-600 solar diameters. Now, since the star basically keeps going on and losing more and more of its outer envelopes. The star basically keeps shrinking and while its core is still extremely hot at this point (due to helium fusion in the core) and ofcourse keeps getting hotter and its outer envelope layers are ''moving'' closer to its hot core it therefore will become hotter on the surface and internal outer layers. However since massive stars tend to generate much more energy outside the core which is ofcourse in diameters exceeding well above 200-300 million km at this point no wonder that the entire star has reached such high surface temperatures at these sizes. Now this stage is extremely short probably only lasting between 10.000 and 100.000 years. As the star continues to lose more mass its outer layers keeping getting closer the what would now be an even hotter core. Also when massive stars tend to get smaller their total radiation output outside its core is much more concentrated together and therefore hotter, as for the Sun it has a radiative core but a convective zone making the Sun cooling off slightly. But these mothers have radiative zones that would be as large as a red giant. Now this is a very interesting stage of a typical massive star with more than 20-25 Solar masses. Significantly reduced in size (approx. 75-150 Solar diameters now) but a huge luminosity of well around 750.000 times that of the Sun. As the star crosses this part of its exotic life cycle it undergoes a series of heavy rapid mass-loss and extreme thermal pulsations causing the star to 1 day exceed 1 million solar luminosites and a week or month later being reduced to around 500.000. Although it would be much more effective in the ultraviolet part of the electromagnetic spectrum and for our human naked eyes just a slight decrease or increase in apparent magnitudes. A Wolf-Rayet star of that size is extremely large at 40 solar diameters. I explained that W-R stars are typically between 1 and 10 solar diameters and actually at their very finaly stages they're even between 0.1 and 1 solar diameter ONLY. This would be nearly the finaly stage of the star. As the degenerate iron core can no longer reach the point of ignition, the core will ''collapse'' on to itself. Gravity won the battle. Now the star's outer layers are less than 1 solar diameters and probably very fast spinning around the core. [i]Once the core collapse it will trigger a massive shock wave and inmediatly after that a type Ib supernova leaving behind what will be known as a ''neutron star''. Although the star exceeded well above 20-25 solar masses the pressure of gravity reaching an infinate point of force that not even the neutrino's can no longer hold itself together and collapses into a stellar mass black hole. The end. So after another long time of not paying any attention to my old thread, I've decided to make an in-depth detailed evolution model for all intermediate mass stars (>2 Solar masses, <9 Solar masses). The very basic beginning of every star (including brown dwarfs and sub-brown dwarfs). Molecular clouds which could be part of even larger giant molecular clouds (e.g. Carina Nebula with many nebulae inside a larger one) if they're not they'll typically be classified as diffuse nebulae. Molecular clouds are generally massive and dense concentrations of concentrated atomic matter or ''molecules''. Although when gravity joins the game it can cause an overdense area inside the nebula to gradually increase even more in density. As it increases in density the temperature and mass wil also gradually increase. This probably lasts for only a few thousand years to reach this very early phase. As the molecular core continues in increasing density / mass / temperature a basic ingredient will form, the core of the star. Now the temperature has increased so much that the pressure and density are growing beyond the basic core, therefore forming outer layers that surround the core, also for stabilizing the star. As all stars (except for 60+ Solar masses) will essentially embrace their starting lives (protostellar) as reddish stars. This is actually a very logic and explainable stage during the early pre-main sequence. For example when a star exhausts hydrogen fusion it will expand towards a red giant simply because it has no (temporarily) reliable source of energy. At this stage the star easily ignites lithium fusion and most likely deuterium a few million years after. Since the star has not yet achieved hydrogen fusion, which is the stable mechanism inside stars to balance the star from collapsing (gravity wants to crush the star but radiation pressure is holding the star together by persisting against gravity, or in other words equilibrium). Anyway the swells up from a protostar to an M-type pre-main sequence star with roughly 60 times the Sun's diameter, approximately between 100-1000 Solar luminosities (2-9 Solar masses). Pretty much the same as above but with an increased core temperature and more control of it's equilibrium. Therefore the outer layers move closer towards the hotter core, causing the outer layers to heat up. Very much like above but hotter core and surface temperatures. Intermediate mass stars somehow simply won't turn into T Tauri stars for some particular reason. And yet again, very much like above except alot hotter and brighter. Although intermediate mass pre-main sequence phases don't really increase nor decrease dramatically in lumonisty their visual brightness from up close goes up proportionally due to the greater amount of ultraviolet (UV, technically EUV lol) compared to redder stars (infrared dominant). Now this is particulary interesting because these types of pre-main sequence stars represent the T Tauri star analog for intermediate mass stars. They contain many Balmer emission lines just like T Tauri stars, but are ofcourse much brighter and hotter. Intermediate mass stars remain at a relatively constant luminosity. Whereas low-mass stars decrease dramatically (from 50 down to 0.5 in case of the Sun, hence the ''Young Sun Paradox, R.I.P. Carl Sagan). Just like all other stars (except for brown dwarfs) will reach a critical point in their pre-main sequence lifetime. As they reach the necessary 10.000.000 K (Kelvin) or simply °C or °F, something will trigger in the core. The ignition of hydrogen into helium. Stars of intermediate mass typically remain between roughly 50 million and 2 billion years on the main sequence. As stars gradually increase in luminosity and diameter because of the increasing temperatures at their cores and also the increase in radiation pressure. The Sun is also at this stage except for low-mass stars. Very much like above except for the fact that intermediate mass stars will become ''subgiants'' while they're still fusing hydrogen to helium (basically as a more brighter and larger type of star). That's because the more massive a star becomes the more dramatic it increases in luminosity. Such stars will have a greater increase in luminosity during the first few steps of it's life when compared to low mass stars. For example it took the Sun approximately 4.6 billion years to increase from 0.55 to the current 1.00 Solar luminosity. Anyway that's basically a 100% increase, but more massive stars undergo luminosity changes up to 300% in just a few 10's of millions of years. That's because more massive stars have fully radiative zones around a convective core and since the outer layers are vastly larger than the core it will increase in luminosity proportionally. Although stars between 2 and 3 may actually exhaust their hydrogen after being a subgiant. Now at this stage the star could be considered as an analog to low-mass (Sun-like) subgiants just before or after hydrogen exhaustion. No matter what, from the earliest population III (stars that formed during the first few 100 million years after the Big Bang) all the way to extreme population I (very metal rich modern stars, the Sun is an intermediate population I star, with lower metallicity than extreme) they'll all run out of hydrogen at some time. Therefore forcing the inner hydrogen core to be moved outwards in a shell around a degenerate helium core. Because the star has no longer a reliable source for perfect equilibrium it will rather expand larger and larger in order to maintain itself from collapsing. Depending on mass intermediate mass stars typically are between 250 - 2500 times the luminosity of the Sun. And a diameter of roughly between 8 and 25. Now as the star starts to cross the H-R diagram turning from blue towards red it will continue growing in diameter to sustain itself from collapsing. Stars at this stage might either be white Giants or subgiants depending on mass and might also be classified as RR Lyrae variables. Somehow intermediate mass stars take an halt at this stage according to the H-R diagram and depending on metallicity. From an interesting point of view on metallicity, the higher the metallicity the redder a star becomes, the lower the metallicity the more ''whiter'' or ''bluer'' a star becomes. For example imagine a metal-poor yellow subdwarf with the same age and spectral type as the Sun. But because the lack of metals (anything heavier than helium in astrophysics) will turn the star more towards the white and blue parts in the H-R diagram as yellow giants while the Sun turns into an orange giant, brighter and larger. But in case of intermediate mass stars regardless of their metallicities the more massive they become the bluer they turn into. Something interesting to remind: During the very first generation of stars (population III stars, or metal-free stars) basically lacked any metal (heavy element) except for a very few traces of lithium-7 wich was a primordial product from the Big Bang. These stars never turned into red hypergiants/supergiants because today red stars have iron and titanium oxide in their spectrum, which are heavy elements!! Now the star has reached the critical 100-200 million Kelvin in order to ignite helium into carbon-oxygen. The Sun will also be able to do this and will persist the fusion for roughly 100 million years. However, intermediate mass stars most likely remain between 30 and 3 million years on the ''horizontal branch'' (a certain stage for intermediate mass and metal-poor stars). Depending on their mass, stars from 2 to roughly 4 Solar masses turn into yellow giants, from 4 to 6 Solar masses turn into white and blue-white giants. And from 6 to 9 Solar masses become blue-white or even blue giants/bright giants. Yes, there is a huge variety among intermediate mass stars and their different stages. Now the star has reached another state of hydrostatic equilibrium (or simply the balance of the star without collapsing). Now at this stage with a new reliable source of fusion (helium) which also produces a much higher amount of radiation pressure and energy than hydrogen fusion stars, it will once again be stable, or not? Well many stars in this part of the H-R diagram would lie in the region of classical Cepheids (Check out ''27 Cephei'' in S.E. which is the prototype for these variables) and will undergo unstable periods of pulsations. As the stars outer layers once again expand and move away from the hot core it will cool-off and turn more to yellow, orange and red. Also after leaving the Cepheid stage the star temporarily becomes a bit more peaceful again, but that's about to change. Now the star is struggling to ignite carbon fusion which it obviously will never be able to do so. But, as I explained before that intermediate mass stars typically fuse helium after turning into an orange giant (RGB), it will now actually continue cooling off and turning into deep red (late M) or orange-red (early M). During this stage also depending on mass a star with 6 - 9 Solar masses most likely turns into an M-type supergiant of luminosity class Ib, between 2 and 6 Solar masses into a bright giant of class II. During these very brief but extremely powerful stages the star will undergo a series of tremendous instability. But before that happens the star still gradually increase in surface temperature because the outer layers once again move closer towards the core. Although without any stable fusion to retain hydrostatic equilibrium the star turns into a Cepheid variable. At this stage the star is extremely unstable. It is now generally believed and accepted that any yellow giant, bright giant, supergiant and even hypergiants (for more massive stars obviously) simply become very unstable due to their spectral type A, F, G and K. Because the star is at very high luminosities now (2000-10.0000 times the Sun, and diameters between 50 and 250 times as they pulsate (increase in brightness and luminosity) in relatively short periods of time. The star will also clearly undergo a heavy mass-loss, therefore creating a protoplanetary nebula (PPN, ppn) that covers the entire star which also reduces it's apparant/absolute magnitude due to a thick gaseous and bubbly envelope. Now at this stage the star is ofcourse not yet a real planetary nebula with a white dwarf but sufficient amounts of mass have been ejected into deep interstellar space forming a planetary-like nebula (PPN) of perhaps 1.000 AU (astronomical units, 150 billion km) large. Ofcourse there's still a large and very luminous Cepheid central star ionizing it's surrounding gaseous nebulous material. Now the star has more or less settled away from being a Cepheid although it still shows many characteristics of a Cepheid. Typically between 25 and 100 times the diameter, with a constant luminosity (except during variable outbursts) of 2000 to 10.000. Very much like above with a constant luminosity remaining at approx. 2000 - 10.000 (depending on mass) but with a reduced diameter most likely between 10 and 30 times that of Sun. And ofcourse surrounded by a protoplanetary nebula. As intermediate stars and low-mass stars continue to evolve even more towards blue but with reduced diameters. During this stage the central star is still extremely luminous causing the nebula to be ionized into beautiful bright colors. Basically any star classified underneath the main sequence or in this case in the upper left corner will technically classify the star as (hot) subdwarf. Also because the star has lost alot of mass and therefore alot of it's metallicity, when comparable to hydrogen fusion O-type main sequence stars they indeed resemble their metal-poor counterparts. At this point the star has still outer layers surrounding the core but something dramatic will happen. At some point the star will deplete all of its available fusion supply that barely remained and therefore halt and stop the process of thermonuclear fusion once and for all. The star now ejects it's last remaining outer layers before leaven a barren core so hot it exceeds 150.000 Kelvin as effective surface temperature and the gravity and density goes up proportionally. The star is now a degenerate object. Now the star has finally lost all of its outer layers and remains as a barren core and stellar remnant leaving a carbon-oxygen white dwarf behind... ''Zero-age'' white dwarfs are still extremly bright and might start at 0.01 solar luminosities (that's very bright for an object the size of roughly the Earth, believe me lol). Their surface gravities also increased so much that's there's a slight gravitational lensing effect near its coronal atmosphere, although it won't be visible to the naked cause you'll have to be so close that appearant magnitudes can go up as bright as -50+ (VERY BRIGHT). The planetary nebula typically disperses into outer space after roughly 10 - 20 thousand years. This basically happens to all stars who end up as white dwarfs. The gradual cooling is believed to last up (although it depends on its initial mass, more massive more radiation pressure faster cooldown etc...) but for intermediate mass stars might last up to a few billions years. Compared to the Sun's 10 - 20 billion years. White dwarfs where originally classified as Roman number VII, however this became very uncommon and unpopular so astronomers instead refered ''D'' (dwarf, degenerate) or simply ''wd'' or ''WD''. An exotic and currently non-existant type of graveyard star... R.I.P. A. Red dwarfs (brown dwarfs) as substellar objects with typical spectral types from M6 to M9 (although that doesn't necessarily have to be the case as they also be metal rich 0.08 solar mass hydrogen fusion stars). B. Red dwarfs as true hydrogen fusion stars but with a too low-mass and luminosity output to actually evolve into red giants. C. Red dwarfs as true hydrogen fusion stars capable of turning into (rather small and relatively faint) red giants/subgiants. D. Red dwarfs as true hydrogen fusion stars capable of turning into red Giants and igniting helium fusion. I think your post are great!!! And someone should pay more attention to this. 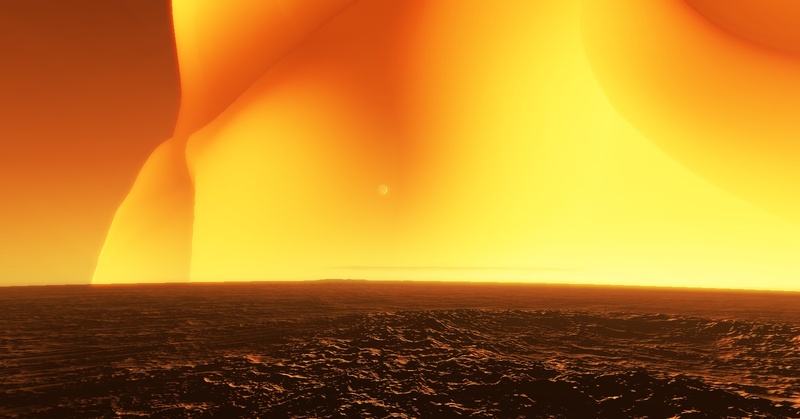 Space Engine has to be the more realistic space simulator ever nos only in graphics but also in the very well documented scientific background. The diversity in stars is not yet accomplished by the engine and i think is something basic and necesary that no other program has yet. The stellar evolution traverses very interesting stages and complex behaviours. N3xt, I think you colud expand this post by taking account of diferent branches of stellar evolution and digging deeper into the subject. If you could post some links about this it would be fantastic. Excellent, thanks for the unexpected support !! Actually, I have to re-write alot of my older posts because I now see a couple of errors on some stellar classifications and explanations. Anyway I love astronomy but my specialisation is definitely about stellar evolution. I'll keep them updated !! And now there's room for my red dwarf (0.08 - 0.5 solar masses) stellar evolution post. And in particular, I recommend checking the 2nd page on that website, very accurate and logical evolution on the H-R diagram. As explained above, within those molecular clouds there could be a highly active gravitional process through gathering mass. Than suddenly at a critical point the dense region collapses and undergoes gravitational contraction including the continuation of mass-gathering and gradual increase in temperature. Although the temperatures are still far too low to actually observe them at this stage. For red dwarfs (0.075-0.45 solar masses) might take up to a total of a several 100 million years (compared to the Sun's roughly 50 million years of pre-main sequence lifetime). Additionally a nearby supernova could ''speed'' up the collapse and contraction. This rather unfamiliar phase represents the embryonic stage of all stars, the core. Although red dwarfs fall within the category of ''very low mass stars'' (0.075-0.45) the process in gradual heating takes much longer than more massive stars. After a couple of 100's of thousands of years the star has reached a sufficient amount of deep core temperatures, probably at roughly a few 10 to 100 thousand Kelvin. At these temperatures the pressures and densities are starting to expand further than it's basic ingrediënt, the core. Forming outer layers to support the star from collapsing under its own gravity. At this point the star most likely ejects beams from its polar regions that can expand to 1000's of AU into interstellar space. But much more has to happen in order to become a true hydrogen fusion star, and unfortunately alot of things can also go wrong. Like the more massice ''low mass stars'' (not very low) red dwarfs also cross the T Tauri section. As temperatures keep going on increasing which at some point will exceed 1.000.000 K and will most likely also be able to ignite deuterium and lithium fusion. After 10's of millions of years the star will exceed 2.500.000 K and basically destroys its lithium supply, the happened to the Sun. Red dwarfs basically won't turn into K or G-type T Tauri stars because ofcourse they obviously settle down as M-type main sequence stars at the end of the PMS (pre-main sequence). T Tauri stars (pre-red dwarf and depending on mass) also vary greatly in stellar diameters ranging from between 5 to approximately 25 times that of the Sun and would be classified as M-type giants and subgiants. At approximately 0.075 solar masses a star is able to successfully ignite hydrogen fusion (into helium). However, there is a huge variety among red dwarfs and their masses. The lower the mass of a red dwarf the (obviously) fainted and cooler it becomes. And the opposite for more massive red dwarfs. A 0.075 solar mass star could essentially live up to 12 trillion years (12.000.000.000.000). A 0.10 solar mass star roughly 6 trillion, a 0.15 solar mass star roughly 2.5 trillion. A 0.25 solar mass star a little over 1.5 trillion. And for 0.25 to 0.5 solar mass stars andywhere between a few 100 billion up to 1.5 trillion. However it may also be possible the star was initially below the necessary 0.075 solar masses to ignite hydrogen and therefore will not be able to undergo hydrogen fusion and would be classified as ''brown dwarf'' (0.013 to 0.075 solar masses). Massive brown dwarfs 0.06 to 0.075 solar masses are predicted to continue what other hydrogen fusion stars have long abandoned, ''lithium fusion'' with spectral types from M6 to roughly L3 respectively. Their luminosities would be extremely dim / faint, and would be between 0.0001 to 0.000001 (1/10.000 or 1/1.000.000) that of the Sun. Substellar objects that are between 0.06 and 0.013 solar masses will be able to fuse deuterium with spectral types from approx. L3 to about T9 or Y0, Y1 or Y2 (little is known about the extended Y spectral types). All brown dwarfs basically cool off and go through all the spectral types ranging from late M (M6-M9) through L, T and Y and then most likely turning black. Although depending on the initial (or basically maximum) spectral type. There's also another very interesting type of substellar objects, known as ''sub-brown dwarf''. Sub-brown dwarfs are extremely low mass objects that fall between roughly 0.001 and 0.013 solar masses (or between 1 and 13 Jupiter masses). However gas giants form in the same manner as other planets through the collapse and mass-gathering contraction within a protoplanetary disk. Whereas sub-brown dwarfs that basically fall in the same mass range as gas giants, formed in the same manner as stars do/did. Through the collapse and contraction within a molecular cloud and would also have spectral types, which gas giant planets obviously lack. Now for stars that are massive enough to ignite and maintain hydrogen fusion (>0.075 solar masses) will finally settle down on the main sequence, except with rediculous and unimaginably long lifetimes. Red dwarfs basically represents the vast majority of stars that are actually out there. But since they have very low luminosities it's very or even extremely difficult to observe them with larger telescopes and nevermind that with the naked eye xD. 85% (depending on which galaxy and their respective metallicities, but nevermind that lets stick our heads within the Milky Way xD) of all the stars are actually red dwarfs. Red dwarfs can also be classified as variable stars known as ''flare stars'' and even ''Superflare stars''. Regular red dwarfs are believed to be suitable candidates in supporting life for a vast amount of time, if the planetary conditions are right. Planets that typically lie within approx. 0.2 AU would most likely become tidally locked to their parent star/stars. All red dwarfs despite the age of the universe are basically extremely young, lol. And therefore represents the ''young main sequence lifetime''. Yes, imagine a 13.1 billion year old red dwarf, that actually would make it a ''toddler'' star than an adult XD (compared to it's vast lifetime and depending mass). Now this would be the same stage as the Sun, except 4.5 billion years would make it rather look like a newborn. Anyway this stage would essentially be between roughly 50 billion up to 12 trillion (depending on mass lol). Oh I forgot to mention that the vast majority of red dwarfs are fully convective with a very (or extremely) low energy output and therefore preserving its hydrogen supply for a veeeeery long time... Although the most massive ''red dwarfs'' are still able to create some form of radiative zone (typically 0.25 - 0.5Msun) which are still very bright and easy to detect from about 1 to 3 ly (~0.3 - ~1 pc) away. Yes, stellar evolution is very complicated XD. After a long main sequence lifetime even a red dwarf has to say goodbye to H fusion. Like in every other star, after H exhaustion the core is transforming into a degenerate He core and a H fusion shell that's pushed outwards around the core. Red dwarfs that are under 0.15 solar masses will never be able to into subgiants (nevermind red giants). These very low-mass stars do increase in luminosity and actually relatively much compared to their initial luminosities. First, they would turn into somewhat larger and brighter (and hotter) orange subdwarfs, and than ofcourse into yellow subdwarfs(although much fainter than the Sun). However at this point (ofcourse after trillions of years) as they are not able to turn into subgiants/red giants, will start to undergo ''mini thermal instabilities''. This would look very identical to the Sun's AGB stage except at a much smaller and fainter scale. Because these stars are never able to fuse helium will become very unstable and will eject but rather very slowly its outer layers into space. Interestingly though, these stars won't even turn into planetary nebula, because they lose a very small amount of mass (compared to more massive stars of roughly 0.25 all the way to 9 or little more solar masses). So they basically cross the H-R diagram from yellow subdwarfs to white subdwarfs (not based on metallicity this time) than into more or less A-type blue-white subdwarfs. As they continue to eject more mass from the outer layers they will also turn turn into ''blue subdwarfs''. All these stages are seperated by vast timescales and are relatively unknown, I do my best. During its near-final stages it would become a hot subdwarf (sdO, without planetary nebula). And eventually leaving a very large but low-mass and extremely faint white dwarf composed mainly of degenerate helium as a helium white dwarf (which are only found in binary evolutions). The Sun will become a carbon-oxygen white dwarf. Little is known about the post-main sequence evolution of red dwarfs. There are, however a few very modest and interesting evolution models. Like explained (somewhere) above, red dwarfs below 0.15 solar masses will never turn into subgiants, red dwarfs between 0.15 and 0.25 will become subgiants and for 0.25 to ~0.5/0.6 solar masses will become red giants. The Sun for example will take about as long as nearly 1 billion years from the (end) of the main sequence to a fully expanded red giant (RGB), that's basically about 10% of its total lifetime spend on evolving towards the top of the red giant branch. And this seems to occur in nearly all stars regardless of mass. The first red giant transit takes roughly 10%. Now from this point a red dwarf of >0.25 solar masses with a total lifetime of about anywhere between 50 billion and 1.5 trillion years will therefore take as long as 5 billion or 150 billion years to complete the transit. Also the increase of luminosity and diameter is significantly less than more massive stars (>0.5 solar masses). Red dwarfs below 0.25 solar masses will gradually turn into red subgiants and than slowly eject it's outer layers due to the absence of a neo-nuclear fusion (i.e. helium fusion) to maintain it's hydrostatic equilibrium and will therefore increase in surface temperature and become orange subgiant than most likely yellow dwarfs (crossing the MS again), yellow subdwarfs, white subdwarfs, blue dwarfs and finally leaving a helium white dwarf behind. Red dwarfs above 0.25 solar masses will turn into red giant, however if the red dwarf was initally below roughly 0.45 solar masses it will not be able to ignite helium... Anyway a star that falls between 0.25 and 0.45 solar masses will still undergo a an interesting course during their post-RGB stages. Once such low mass stars reach their full potential as a red giant something similar to the Sun's AGB (2nd red giant) stage will occur. Thermal instabilities and pulsations causing the outer layers to be slowly ejected into space. And in this case the red dwarf will be able to form a protoplanetary nebula. Meanwhile the continuation of reducing stellar radii which causes the outer layers to move closer to the hot core will turn it into an orange giant, than a yellow giant (perhaps a Cepheid, altough this might not be the case due to its very low mass) with a protoplanetary nebula. This transition from red giant to white dwarf could last up to a potential 100 million to even 10 billion years (Compared to the Sun's post-AGB of only 1 million years). The star will continue losing mass and become a white subgiant, a blue dwarf, a hot subdwarf (sdO) and finally a helium white dwarf none the less (due to unsuccesfully igniting helium). Now this stage is very familiar ofcourse as it happens in all stars at or a little above ~0.45 solar masses. Red dwarfs are very low mass stars and once they've reached roughly 100 million K, something unique will occur. The ignition of helium into carbon and oxygen (and few thraces of heavier elements). It appears stars last roughly 1% as helium fusion stars (if capable of igniting ofcourse) of their total lifetimes. The Sun last for about a 100 million years during this period (1% of 10 billion). Now imagine a 0.45 solar mass star that spans its total lifetime for more than ~100 billion years, would than last a billion years as a helium fusion star. However even >0.45 solar mass stars will have to say goodbye to helium fusion and from this point the (massive) red dwarf evolution models become very similar to other more massive low mass and intermediate mass stars (i.e. AGB --> PN). These stars will remain as somewhat smaller red Giants than before while compared to the Sun's helium fusion stage as an orange giant. 0.45-0.6 solar mass stars would most likely have diameters of about 10 times that of the Sun. And luminosities of roughly 10-25 times the Sun. As the star's helium is running out it will once again expand into a larger a larger red giant than before. Although as these stars are at a lower mass than Sun-like and intermediate mass stars ofcourse, they'll most likely end up at luminosities of roughly 75-250 times that of the Sun and with a diameter between 50 and 100 (depending on mass...). The Sun at this stage will be like 3 times these numbers during the AGB. Also, the AGB of 0.45-0.6 solar mass stars also (most likely) avoid becoming ''Cepheid'' variables due to their low luminosity output and mass. All stars that are incapable of igniting 1 or more ways of neo-nuclear fusion (helium and beyond) will basically become unstable and thermal instabilities will occur throughout the star. During this process the star has no reliable source of fusion to maintain itself from collapsing under its own gravity (i.e. hydrostatic equilibrium) and will therefore fuse and burn the what ever little bits remains of hydrogen and helium fusion (as shell fusion sources, not the core). During its desperate struggle to survive and continue another way of core fusion which unfortunately like any star up to 2.25 solar masses can't accomplish, ''carbon fusion''. The star expands to proportional sizes to atleast try and get there (neo-nuclear fusion). As explained above (little to early maybe) the star undergoes thermal instabilities and will slowly eject its outer layers into space. Only red dwarfs of 0.45 to 0.6 solar masses are able to reach this highly evolved stage and will therefore cross the entire H-R diagram from red to blue. However the duration of the AGB of red dwarfs could potentially last up to 10's of millions of years (Sun: 1 million or less...) and over time will gradually form a protoplanetary nebula. At this ''near-final phase'' for red dwarfs between 0.075 and 0.45 solar masses will show some very interesting characteristics. First of all the lower the mass of a white dwarf the larger it's diameter will increase. This however, does not rule out for their luminosites which will actually decrease due to lower (degenerate) radiation pressure. Helium white dwarfs that fall within the lowest mass range are believed to be from roughly 1.5 to as large as 3 times the Earth's diameter. They also last many billions of years longer because of their slow-burning process and low convection activity. They could last up for 100's of billions of years before reaching (near-)zero K. Also keep in mind that red dwarfs between roughly 0.2 and 0.45 Solar masses will avoid the AGB phase but not the RGB phase. Stars of ~1 solar mass should reach a peak brightness of about 10,000x present-day luminosity, at the tip of the thermally pulsating AGB - which means that the AGB Sun actually cuts through the bright giant region and becomes a supergiant (probably MIb), instead of staying as a regular giant. I think a lot of people overlook the supergiant stage for Solar-type stars because it takes up so little of the star's life, compared to more massive supergiants like Betelgeuse. The region you termed "Thermal instability and pulsations (G, K and M III)" is the RV Tauri variable stage. It should remain at class Ib through this stage, and until it hits the upper end of the Type II Cepheid region. The Sun should a brief stint as a PG 1159 star between the sdO and white dwarf stages. This will look similar to a white dwarf with a helium-enriched spectrum (along with carbon and oxygen), but it won't yet be a WD because it's not fully degenerate yet, i.e. it's still contracting and shedding some mass. Also, it'll be way too hot and bright, since it'll be in that huge void on the HR diagram between the sdOs and the hot end of the WD region. A late or very late thermal pulse along the post-AGB contraction track could do some really interesting things, since it will temporarily reset it back to the TP-AGB region. This would likely replace the more conventional sdO stage with a stage where it shows a Wolf-Rayet type spectrum (seems to be a very common outcome for Solar-type stars in particular), called a Wolf-Rayet type, or [WR], star. I know you mentioned that you've found some mistakes already, and these might cover some of them, but I just figured I'd chip in anyway, since this is a favourite topic of mine. Nice write-ups, by the way! Thanks for responding to my stellar evolution explanations sinndogg. I do agree on the post-AGB thermal instabilities. The Sun would most likely reach luminosity class II (don't forget about the marginal classes as well, for example: IIIa-IIb or IIa-Ib. But the Sun would most likely reach a bolometric luminosity of approximately 250 and probably 500 at the tip of the RGB. Than it would decrease to roughly 50 up to 100 times L(uminosity). After that the Sun would probably reach 1000 during initial AGB and a few 1000 during post-AGB. 10.000x in my theoretical opinion should be reserved for the AGB of intermediate mass stars and definitely for high-mass stars. Becareful at which Hertzsprung-Russel (H-R) diagram you look at. Many are custom made and (respectively) inaccurate. About the Wolf-Rayet type though, I don't know. I know it's theoretically possible for Sun-like stars but it's extremely rare and quite uncommon. I think it's more reserved (and still very rarely) for intermediate mass stars. I've found a code called the SCENARIO MACHINE developed by the Russian Academy of Sciences that generates all the important stellar parameters in binary systems and its evolutionary tracks. We are talking about mass, chemical composition, accretion, mass transfer, supernovae, disruption of the system, magnetic field decay of every concievable stellar binary system. The software is quite old, it generates a diagram or a table at wish with all the results after plugin the mass and sepation of the components (and a bunch of other parameters). All the formulas used for this code can be found on this link. It would be amazing if one day SE could display the majestic variety of close binary systems and their evolution (roche lobe filling, pulsar interactions, acretion of the companion, magnetic field changing regimes, coalescense, supernova, planetary nebula interaction with companion, common envelope, interacting jet streems, x-ray emmisions, flares, etc...). I hope this dream come true soon thanks to the animated shaders that Vladimir is developing with the help of Duke. By the way, this code could also help in estimating the probability of finding each particular system and accurately pinpointing their occurence in SE.